As a popular data transmission system, the structured wiring system supports data, multiple voices, video, and various management systems. It consists of a number of standardized smaller elements such as structured wiring panel, network switch, cables, etc. This article will address the introduction of structured wiring panel and how to choose it. What Is a Structured Wiring Panel? The structured wiring panel plays an essential role in the network cabling. 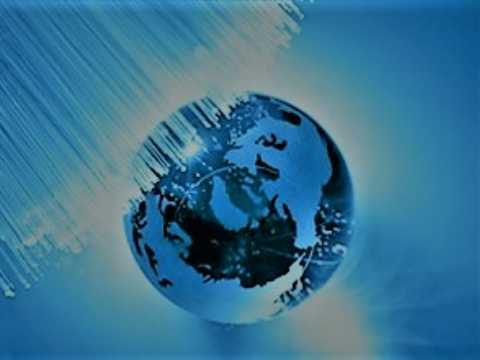 It consists of multiple ports to connect and manage the input and output fiber or copper cables. The structured wiring panel is usually attached to a structured wiring cabinet or a server rack. That rack can offer a certain location to make all your structured wiring panels, cables and other hardware connected neatly. Why Use a Structured Wiring Panel? Easy for cable management – With structured wiring panels, all cables can be collected in one place. This allows for easy and organized management. 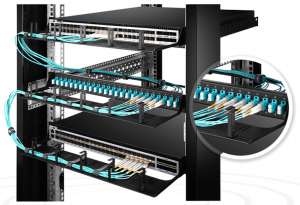 Reducing wear of devices – Users can accomplish the connections on the patch panel, and there is no need to plug or unplug the cables directly and frequently from the devices. Thus, using the structured wiring panel helps reduce the wear of network devices. Convenient for reconfiguration – Because multiple cables are terminated on the patch panel, the devices like switches won’t be disturbed when adding or removing some cables. And the patch panel’s ports are usually labeled. Therefore, it is convenient for you to make some changes to the cable. Based on different application environments, structured wiring panel can be classified into various types. 1U fiber optic patch panel is a flexible management solution for high-density cabling. This kind of structured wiring panel is the bridge of fiber patch cables. And it usually serves as 1U 19’’ rack, ODF and cabinets. Moreover, it can be loaded with LC duplex single mode or OM3/OM4 multimode adapters with 24 ports or even more ports. You also can find that the 1U 19″ rack blank panel is used in the structured wiring system. 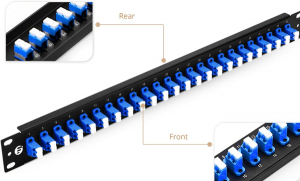 Sharing some similarities with the fiber optic patch panel in the structured wiring system, network patch panel can be provided with 24 ports, 48 ports, and even more if necessary. It is designed for both shield and unshielded copper cables such as Cat5e, Cat6, Cat6a and so on. There are two types of the modular patch panel. One is the multimedia adapter panel, which is getting more and more popular in the home structured wiring. It supports up to 6 modules for standard keystone jacks and LC, SC or MTP adapter. What’s more, the 6-port blank multimedia modular panel in FS is the most commonly used one in the market. Our blank multimedia patch panel is much flexible in copper and fiber mixed implementations. It allows users to aggregate up to six different types of ports at one time. The video below provides you with more details. The other type of modular patch panel is the 1U rackmount modular fiber enclosure panel. It can hold up to 4 MTP cassettes or fiber adapter panels. Typically, it is designed for both front and rear-mounting capabilities. Besides, with a creative compatible design, this type of structured wiring panel is cost-effective for 10G/40G/100G cabling with both multimode and single mode options. Structured wiring panel is an indispensable component for well-organized cable management. When choosing a structured wiring panel, you’d better take styles, cable types, count of ports, etc. into consideration. And you can choose the appropriate one based on the function and performance you actually need. 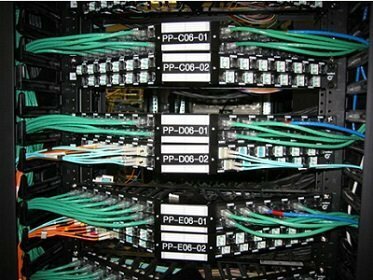 FS provides high-quality structured wiring panels, racks, fiber optic enclosures, etc. If you have any needs, welcome to visit FS.COM. Related Article: How to Choose a Structured Wiring Panel? 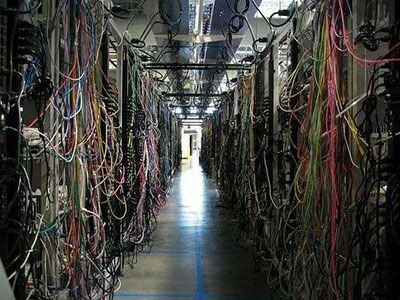 ← Vertical Cable Management vs Horizontal Cable Management: Which One to Choose?